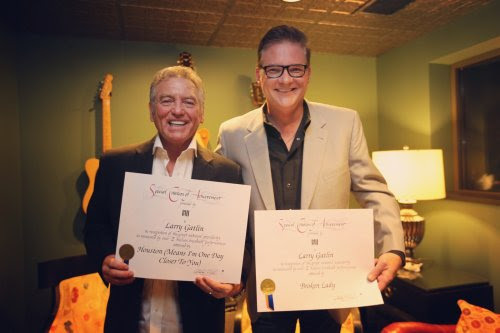 Larry Gatlin accepted two BMI Million-Air Awards during his sold-out concert at the Franklin Theater in downtown Franklin on Saturday (Oct. 8). The honor is given to songwriters, composers and publishers whose songs accumulate over one million U.S. broadcast performances. 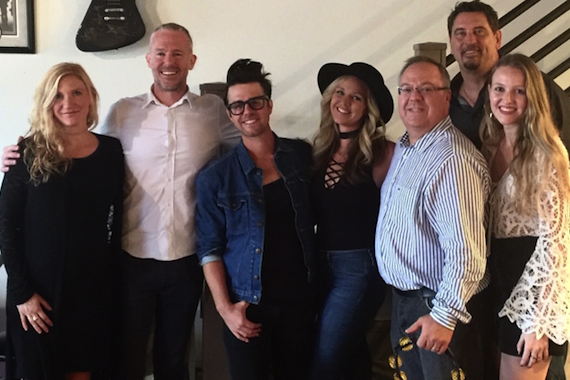 Country pop-rock duo Towne has signed a publishing and artist development deal with creative investment firm Blue Tile Music. As a division of Blue Tile Media Partners, Blue Tile Music empowers artists through creative funding mechanisms and hands-on assistance, helping them launch and sustain their careers. The signing follows the release of Towne’s debut EP, Games We Play. The duo consists of Steevie Steeves and Jon Decious. They initially crossed paths at Skip Ewing‘s Horse and Writer Seminar in Wyoming where they immediately connected musically. They are managed by Rusty Harmon at Harmon Music Management. After more than 25 years as Skyline Music, the boutique booking agency is rebranding as Skyline Artists Agency. The company’s roster of 60 artists includes Roger McGuinn, Poco, Atlanta Rhythm Section, The Lovin’ Spoonful, The Smithereens, The Motels, Zoe Keating, Darlingside and MarchFourth. The company also publishes music tech/music industry website Hypebot.com.